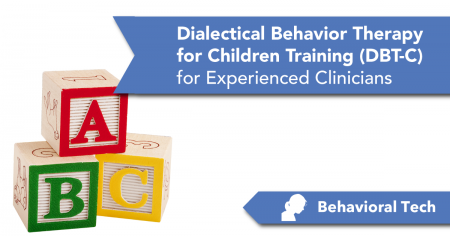 The Dialectical Behavior Therapy for Children (DBT-C) Training for Experienced Clinicians is a comprehensive course designed for those who have attended the Dialectical Behavior Therapy Intensive™ or Foundational training who are interested in the application of DBT with children. This training is intended for clinicians invested in learning DBT-C to a high standard in order to better implement the treatment in their setting. It includes content on child individual counseling, didactics on emotions, parent training component and DBT-C skills. Primary Objective: As a result of this training participants will be able to do DBT with children. Training is conducted in two three-day sessions of instruction divided by six to nine months of home study and monthly consultations via teleconference. ⦁ In Part 1, lectures and small group exercises are used to teach DBT-C strategies in depth. ⦁ Between Parts 1 and 2 participants consolidate and apply their learning with the help of practice assignments. During this time, teams design and begin implementing their own DBT-C program or integrate DBT-C into an ongoing treatment setting. Monthly 1-hour consultation is provided by DBT- C experts to teams. Consultation is designed to help build or integrate DBT-C into practice settings, improve understanding of the material, and enhance effectiveness of program implementation. ⦁ In Part 2, each team presents their work and receives expert consultation on specific cases. Teams are provided with further practice on application of techniques and identification of strategies. Determine who might benefit from DBT-C. Convey evidence for model to clients & stakeholders. Describe how DBT-C was developed from standard DBT. Describe the biosocial model for severe emotion dysregulation and corresponding behavioral dyscontrol in preadolescent children. List the treatment hierarchy of DBT-C. Structure DBT-C to meet the required functions of treatment. Help parents understand the dialectical dilemmas of parenting. Help parents learn Behavior Change Model and create a change-ready environment. Introduce parents to behavior modification techniques. Help parents implement behavior management plans. Help parents create a validating environment. Help parents understand and overcome their difficulties with implementing techniques. Teach parents and children to engage in problem solving. Teach parents and children how to do cognitive restructuring. Conduct behavioral analysis with children. Teach parents and children to understand emotion. Describe the DBT-C Emotion Change Model. Structure the DBT-C program to fit your setting. This is a Level 4 training. Our Level 4 trainings allow experienced DBT therapists to advance and sustain their DBT knowledge. We define “experienced” as those who have completed our Level 3 training (or equivalent comprehensive training) and provide DBT in their clinical work. Participants are expected to be mental health professionals who have attended DBT Intensive or Foundational training, have at least one year of experience delivering DBT, and currently work with pre- adolescent children. The DBT-C training involves rigorous preparation, training, and homework. The course is designed to model basic elements of the treatment in an experiential way. Just as DBT-C requires families to make a full commitment to treatment and to attend all sessions, DBT-C training requires participants to attend the entire training, do their best to learn the material, and to participate in a willing, committed manner. 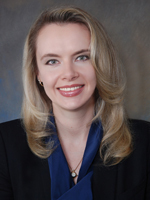 White Plains, NY (United States) Francheska Perepletchikova, Ph.D. is a DBT-Linehan Board of Certification Board Certified Clinician is an Assistant Professor of Psychology at the Department of Psychiatry at Weill Cornell Medical College. Dr. Perepletchikova received her B.A. degree at St. John's University and graduated with a gold medal for the highest academic average. Dr. Perepletchikova received graduate training in two disciplines -- developmental and clinical psychology. She obtained an M.A. in Developmental Psychology from Teachers College, Columbia University in 1996 and received Ph.D. in Clinical Psychology from Yale University Department of Psychology in 2007 (with the James B. Grossman Best Dissertation Prize). During her internship and post-doctoral training at Yale University School of Medicine, Dr. Perepletchikova gained expertise in Dialectical Behavior Therapy (DBT). She obtained intensive and advanced intensive trainings in DBT with Dr. Linehan. Further, Dr. Perepletchikova has been established as able to deliver DBT with adherence and calibration as a reliable DBT adherence rater by Behavioral Research and Therapy Clinics at the University of Washington. In 2015, she became a BTech trainer. In 2016 Dr. Perepletchikova became a DBT-Linehan Board of Certification Board Certified Clinician. Dr. Perepletchikova has a long-standing interest in emotion regulation, trauma-related psychopathology, depressive and anxiety problems, suicidality and self-harm behaviors. Her research focuses on childhood psychopathology, psychotherapy development, and evaluation of treatment integrity in treatment outcome research. Dr. Perepletchikova developed Dialectical Behavior Therapy for pre-adolescent children with severe emotional and behavioral dysregulation and evaluated its feasibility and efficacy in several randomized clinical trials. This line of research has been funded by the grants from NIMH, NRSA and private foundations. Dr. Perepletchikova authored 25 journal articles and book chapters for the book Treatment Integrity in Treatment Outcome Research (2009). She has conducted over 60 lectures, presentations and workshops around the world. As a clinician, Dr. Perepletchikova maintains her practice at Weil Cornell Medical College, where she is a Founding Director of Youth-Dialectical Behavioral Therapy Program and a Director of Outpatient Adolescent DBT Program. Be invested in learning DBT for Children to a high standard in order to better implement the treatment in their usual settings. Agree to attend and fully participate in the entire training in a willing, committed manner. Have Intensive or Foundational Training in DBT. Must work with preadolescent children. Submit the application and application fee. Linehan, M. M. (1993). Cognitive Behavioral Treatment of Borderline Personality Disorder.New York: Guilford Press. Linehan, M.M. (2015). DBT® Skills Training Manual (2nd ed.). New York: Guilford Press. Linehan, M.M. (2015). DBT® Skills Training Handouts & Worksheets (2nd ed.). New York: Guilford Press. Please send your completed application to info@behavioraltech.org. We prefer typed applications. We will review applications in the order they are received. Applicants will be notified of acceptance no later than February 7th, 2019. 33 East Sierra Madre Blvd. This offering meets the requirements for the following hours by discipline. Licensing and continuing education requirements vary by state. Please contact your state’s regulatory authority to verify if this course meets your licensing or continuing education requirements. Inquiries regarding CE for other disciplines not listed may be directed to Behavioral Tech at (206) 675-8589 or via email to CE@behavioraltech.org. And for general CE questions, you can review answers to continuing education FAQs or contact us. Behavioral Tech will apply to the NAADAC – the Association for Addiction Professionals, Provider #77431. Behavioral Tech will email you a letter documenting your attendance upon successful completion of the activity. The allotted contact hours for this activity = 40.5. Behavioral Tech is approved by a NBCC-Approved Continuing Education Provider (ACEP™) and may offer NBCC-approved clock hours for events that meet NBCC requirements. The ACEP solely is responsible for all aspects of the program. Behavioral Tech will email you a letter documenting your attendance upon successful completion of the activity. The allocated clock hours for this activity = 40.5. Behavioral Tech is accredited by the Accreditation Council for Continuing Medical Education to provide continuing medical education for physicians. Nurses should only claim credit commensurate with the extent of their participation in the activity. Continuing Medical Education is accepted by the ANCC for nursing certification renewal. The maximum AMA PRA Category 1 Credits™ designated by Behavioral Tech for this activity = 40.5. At the end of the training, each Nurse must complete and sign the provided form to record the number of credits claimed. Keep one copy & return the other copy to Behavioral Tech. Behavioral Tech is accredited by the Accreditation Council for Continuing Medical Education to provide continuing medical education for physicians. Physicians should only claim credit commensurate with the extent of their participation in the activity. The maximum AMA PRA Category 1 Credits™ designated by Behavioral Tech for this activity = 40.5. At the end of the training, each Physician must complete and sign the provided form to record the number of credits claimed. Keep one copy & return the other copy to Behavioral Tech. Behavioral Tech is approved by the American Psychological Association to offer continuing education for psychologists. Behavioral Tech maintains responsibility for the program and its content. Behavioral Tech will email you a letter documenting your attendance after successful completion of the program and homework. The number of hours Behavioral Tech has allocated within APA guidelines = 40.5. Behavioral Tech will apply to the NASW, Washington State Chapter, Provider Number 1975-166, to offer continuing education for Certified Social Workers. Behavioral Tech will email a certificate of attendance upon 100% completion of this activity. The hours of CE allocated for this activity = 40.5. The California Board of Behavioral Sciences recognizes National Association of Social Workers (NASW), National Board for Certified Counselors (NBCC), and American Psychological Association (APA) as approval agencies.